Iceland has a fascination with elves. Roads have even been diverted so as not to disturb elf habitat. Yet once a year the chess world arrives in Reykjavik, including a dozen Americans this year, to face the cold, hard, reality of the 64 squares. 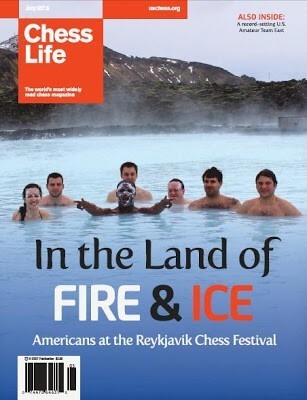 Read about this year's Reykjavik Chess Festival, and much more, in the May 2012 issue of Chess Life Magazine.